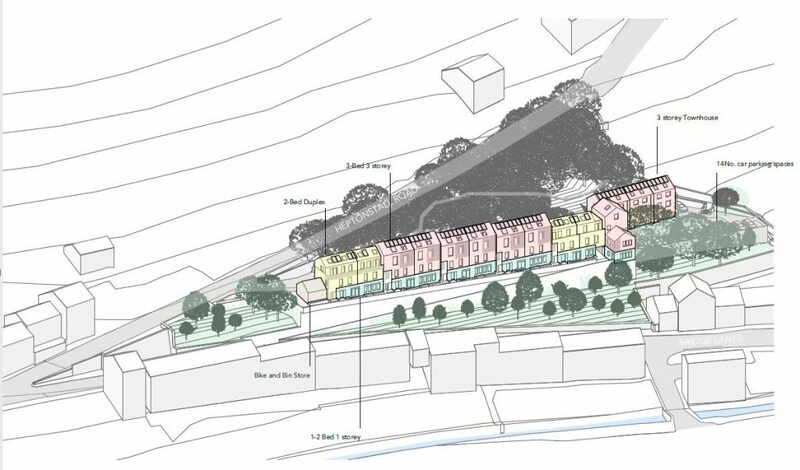 Our proposed development of twenty 1, 2 and 3 bedroom homes for affordable rent on the old High Street site in Hebden Bridge. 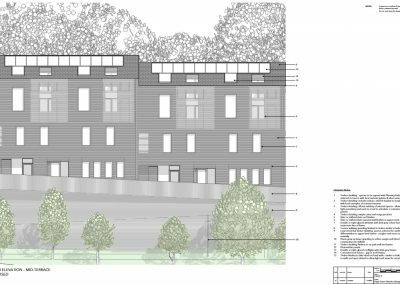 We have been working closely with our community and Bauman Lyons architects to design high quality, low impact rental homes. 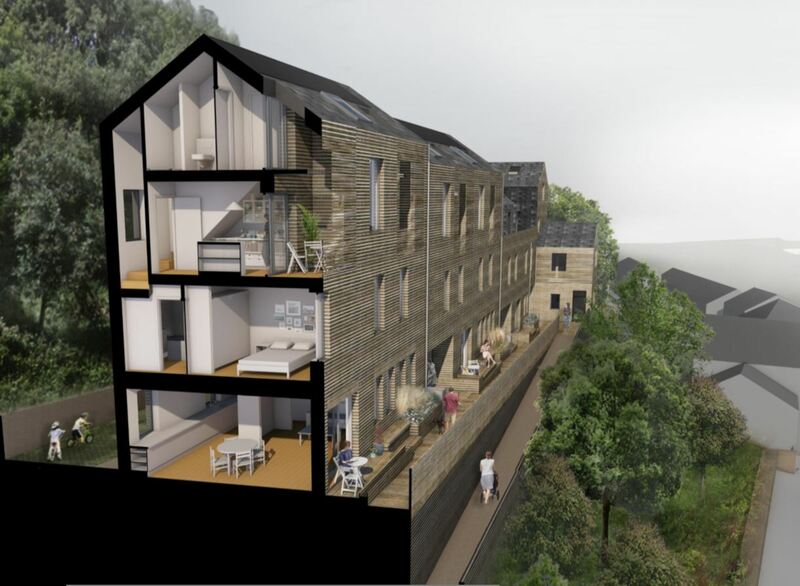 After more than two years of planning, surveys, architects drawings and financial planning we applied for planning permission for our new development of twenty homes at affordable rents in what was formally known as High Street, Hebden Bridge in July 2018. 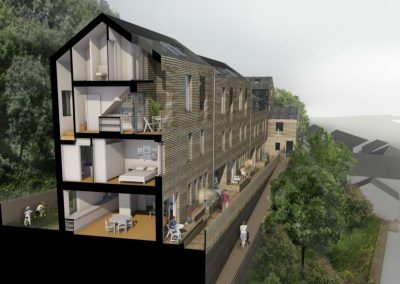 We’ve been excited by the sustainable architecture proposed for what, after all, would be homes for Hebden Bridge people for all of the rest of the twenty-first century. 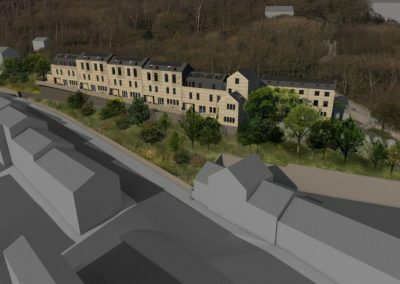 However on Tuesday February 5, Calderdale’s Planning Committee rejected our application, three councillors voting against and two voting in favour. 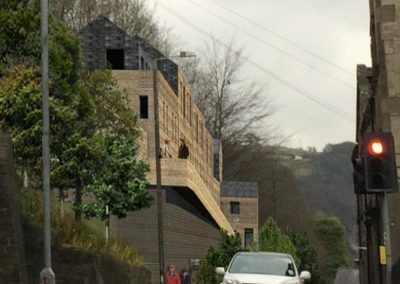 This was despite a comprehensive report from the planning officer which recommended permit. 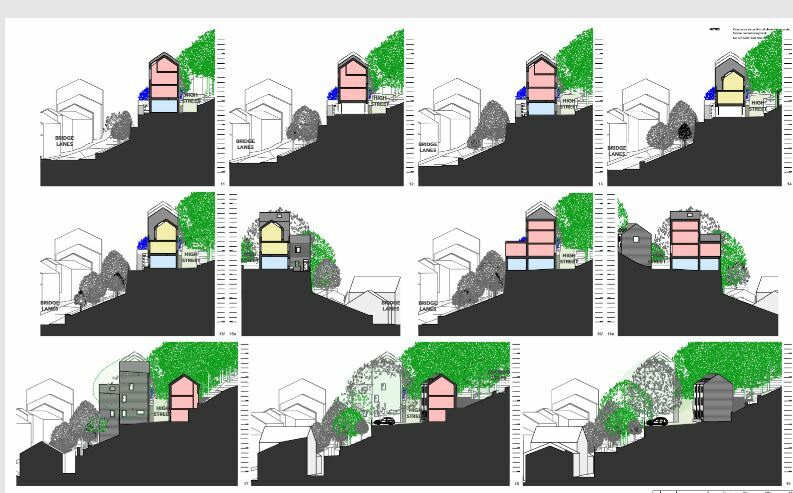 You can watch the webcast of the Planning Committee, to see exactly what happened here. (Our application is heard about an hour from the start). 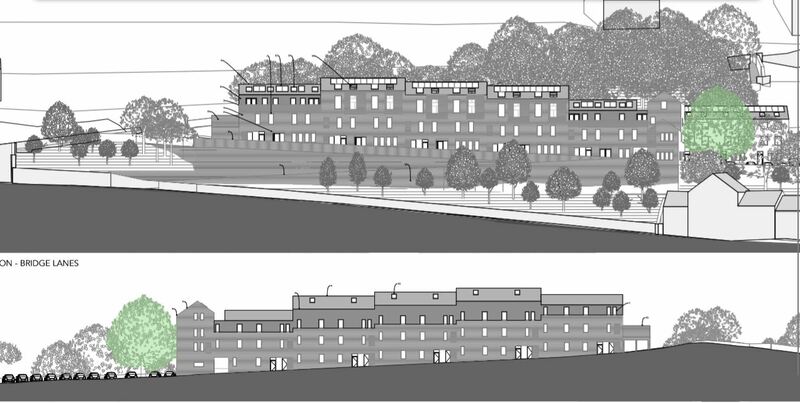 And you can read the planner officer’s report to committee here. 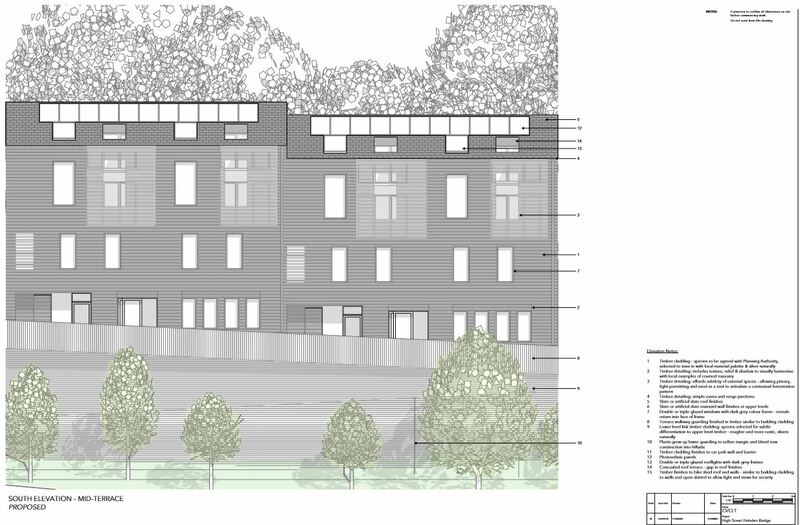 We are currently assessing the basis on which the application was rejected and considering our options. Our statement issued on Feb 5 can be found on our news page. There’s a lot of documents there. You may find it interesting to look first at the ‘Design and Access’ statement, which is a good summary of the proposal. As a charity run entirely for community benefit, we have tried to involve the community in our plans to ensure that the houses which are built are those which local people want to see. 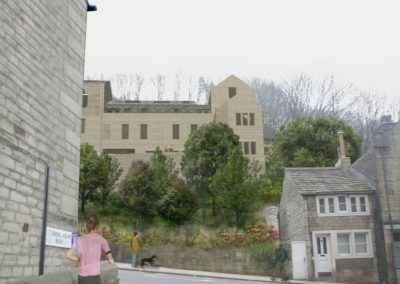 As well as the 2018 consultations, we held a consultation about our High Street plans in Hebden Bridge Town Hall in February 2016, a second consultation in the Methodist Church hall on January 14th 2017. These consultations focused on what local people would like to see CVCLT develop on the site. 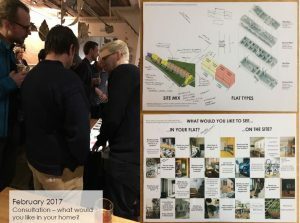 In February 2017 we held an evening consultation with people who were interested in living in the proposed hom es, and what they felt was important for the scheme to deliver. 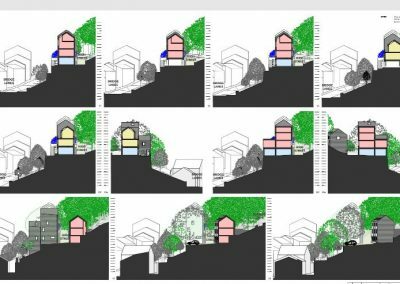 A sense of community and a lot of practical things, such as ‘where can I dry my tent’ or ‘park my bike’ together with a real interest in the outside space on the site where the main feedback points. 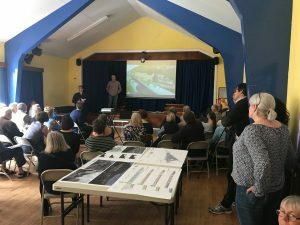 We followed this up with another event in the Methodist Church Hall, very near the site, on March 25th last year where out architects, Bauman Lyons Associates, presented the development of the scheme so far and their first draft proposals. The slides from the presentation are here. 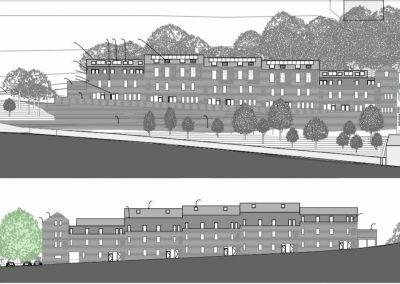 This was the early version of the scheme with 27 homes, which has now reduced to 20 homes in the scheme submitted for planning permission. 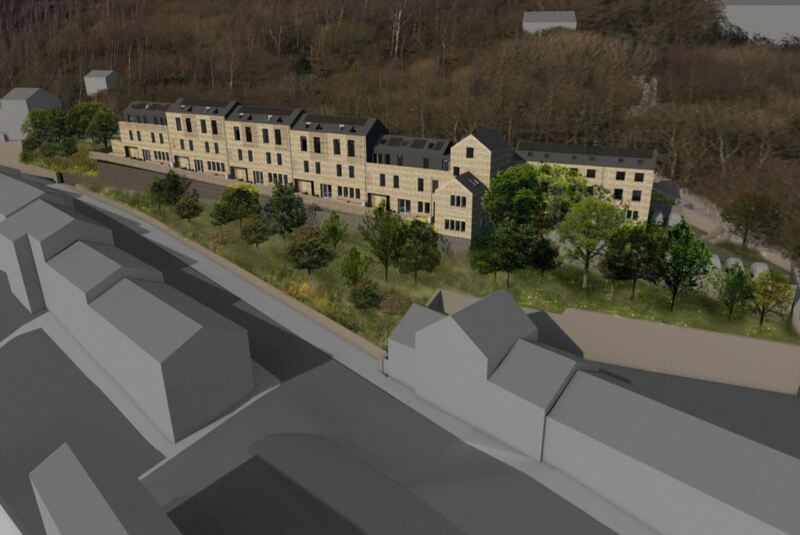 We held a final pre-planning consultation on Sat 21st April 2018 to present the scheme that we hoped to submit for planning after some final tweaks to respond to feedback. 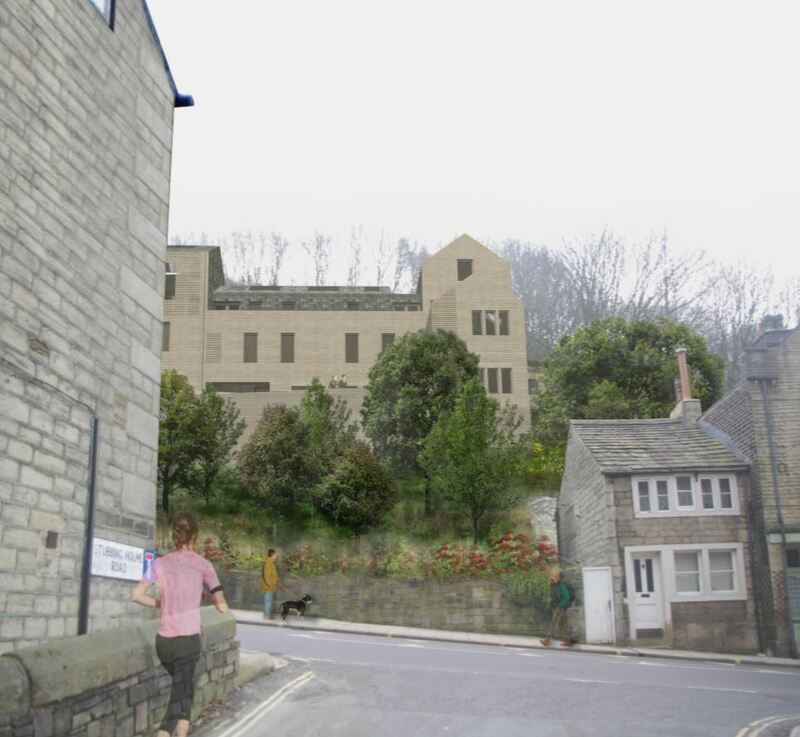 The possibility of bringing new life back to High Street, the site of housing cleared in the 1960s slum clearances, is something which we think symbolically reflects the way that Hebden Bridge has re-created itself after the terrible economic disasters of the 1960s and 1970s. 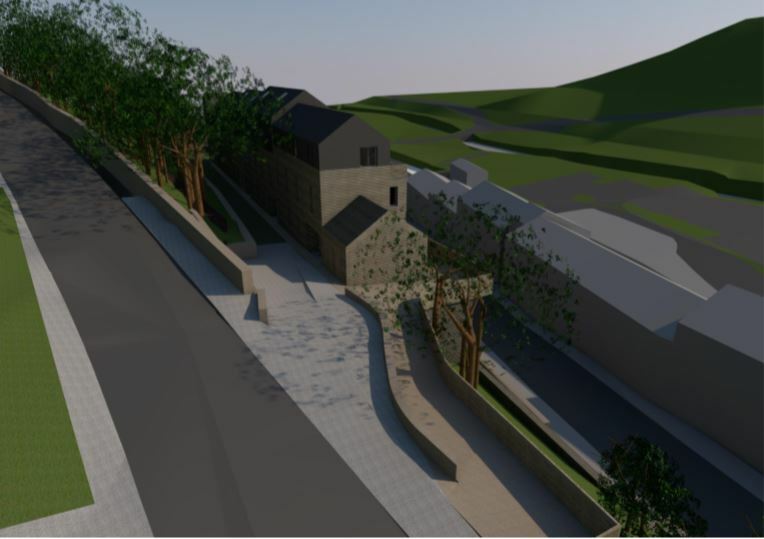 High Street, now a small tarmacked lane, is off Heptonstall Road near the Fox and Goose pub. 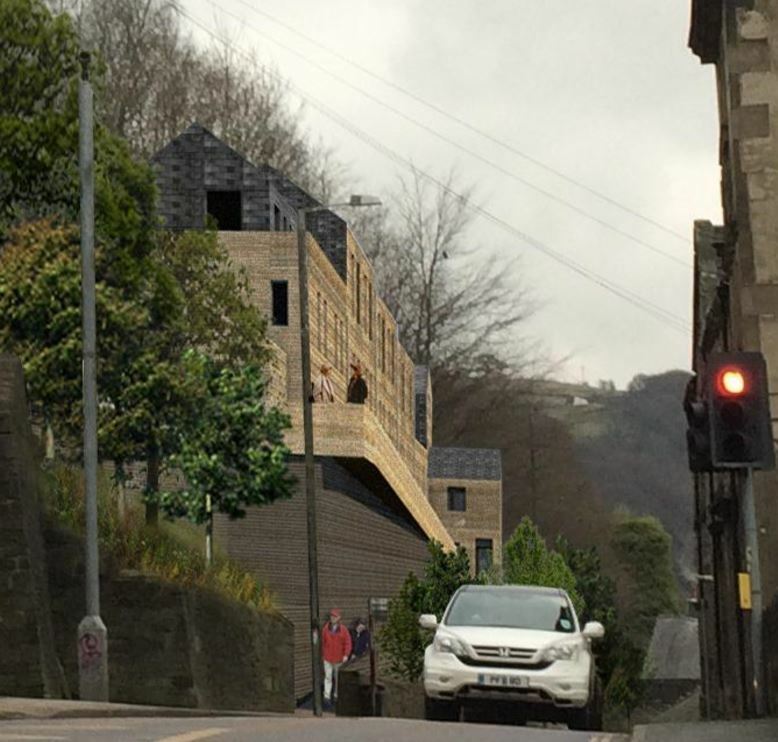 Of course, until the clearances of the mid ’60s High Street was a densely populated and highly developed part of Hebden Bridge. 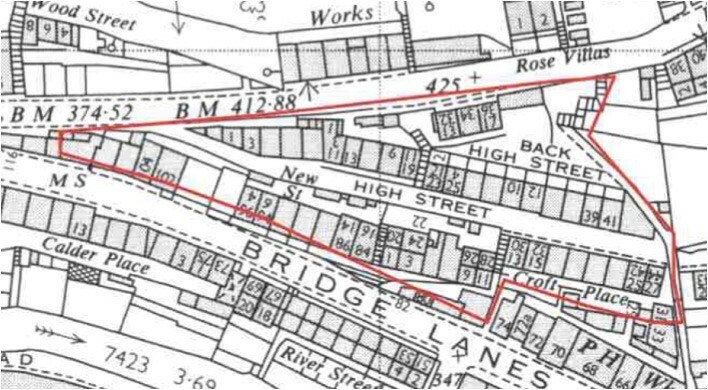 There were over 70 dwellings as well as shops and workshops on the site, as this map of the road layout in the early 60s shows. 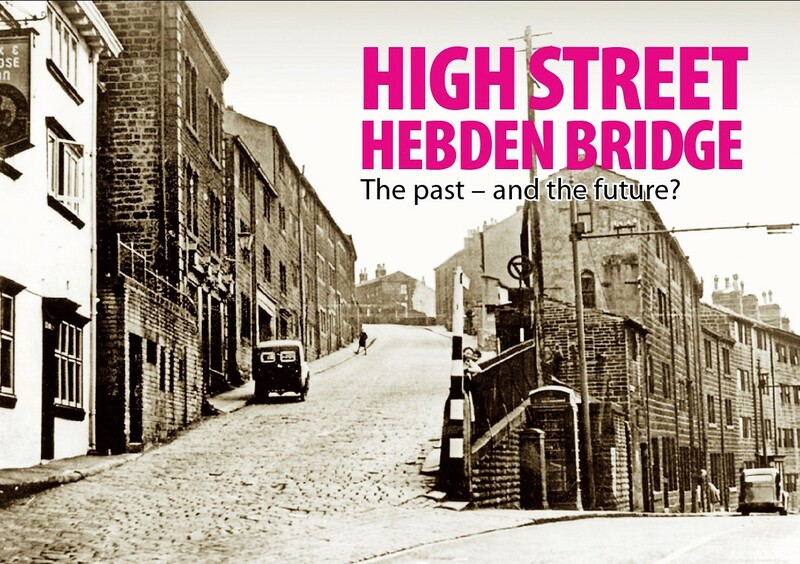 There are still residents of Hebden today who remember living on High Street. We have put together a booklet of old photographs showing High Street as it was in its heyday. We still have some copies left. The booklet can be downloaded from this website – and free copies of the booklet are still available in hard-copy form. 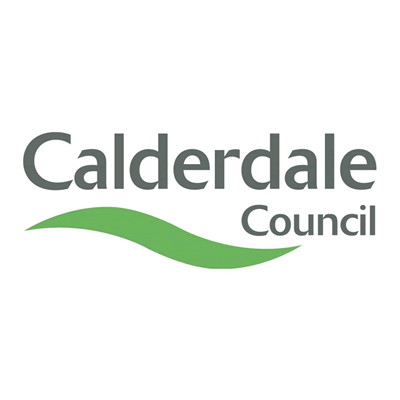 Copies are held at the Town Hall – please ask at reception for your copy. 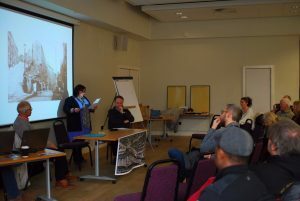 About fifty people came along to our consultation, held in the Methodist Church hall on Saturday January 14th. A full report of the event, including details of comments, concerns and issues raised, can be consulted here.